Davis Stainless Steel Mixers are used to mix a wide variety of food products such as pancake, muffin, cookie and dounut mixes, spices and spice rubs, soup mixes, powder drink mixes, ice cream powders, etc. We are constantly working with customers to test and develop processes to produce new products. Don`t hesitate to contact us with your application. We are up to the challenge. 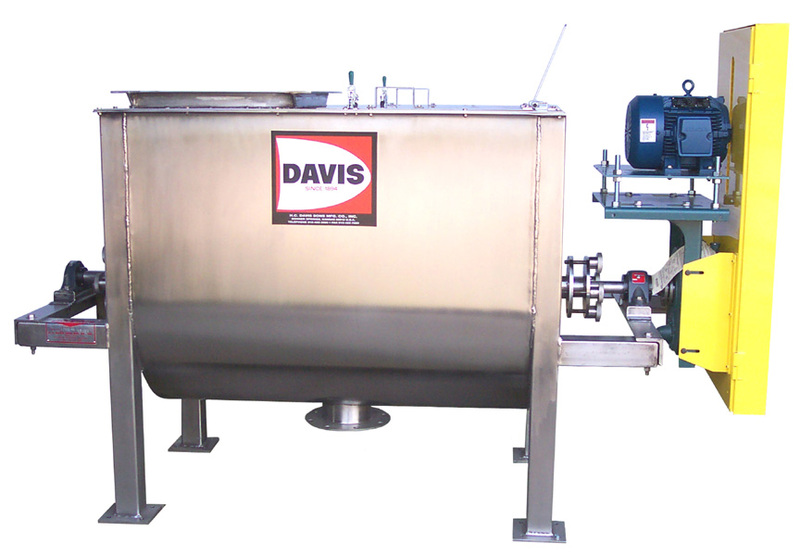 Davis Heavy Duty Batch Mixer will mix a variety of food products. This applications requires stainless steel construction with all interior surfaces ground and sanded to a 120 grit finish. Depending upon your products you may need our double ribbon agitator or our flat paddle agitator. The double ribbon will mix more efficiently while the flat paddle agitator will be much easier to clean-out.